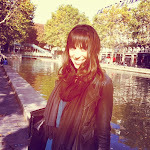 LaFleur de Paris: Totally Nuts! Whenever anyone asks me what I miss most about America, my first response is always “peanut butter.” Sorry, Mom and Dad, but you’re just not as creamy and American. Plus, you come to visit me at least once a year, while peanut butter has been doing a terrible job of visiting France. Like an obnoxious American tourist, it stands out in a crowd and the French find it abhorrent. After living in la France for seven years, peanut butter has become my Proust Madeleine, if you will. One bite and my childhoods eating fluffernutter sandwiches at summer camp (my French friends nearly faint when I tell them what’s actually in one of those) or peanut butter and jelly at school all flash before my eyes. 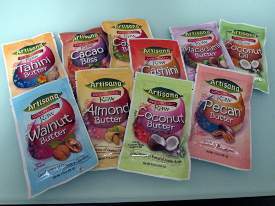 (OK, they may also have been thinking of the thousands of schoolchildren and busy adults across the country who may also be saved from such an ingenious creation), Artisana sells their nut butters in individual serving packets, perfect for those of us on the go. (Can you think of anything more chic than squeezing almond butter onto a cracker during a fancy movie premiere? Just watch me.) 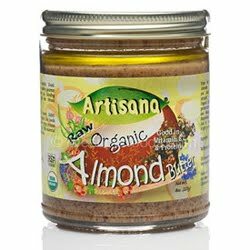 Their tahini is the best I’ve ever had and makes for an incredible addition to salad dressing, baked goods or sauces, or just spread on toasted bread with some honey – yum. Their single serving packets span pretty much every nut you can think of, your crazy Aunt not included: think pecan, walnut, coconut, cashew, almond, cacao, macadamia and cashini (just what it sounds like, the delicious offspring of cashews and tahini). They are the perfect snack for any time of day on any kind of bed (fruit, rice cake, fresh French bread from the boulangerie if you’re as lucky as me to live down the street from one or a bagel if you’re even luckier than me and live in close proximity to a NY bagel shop) or just squeeze directly from packet to mouth, why not ? It’s healthy, I promise. And if you are a French customs official reading this blog, then I’d just like to officially state on record that there are NOT any jars or packets of nut butter in my suitcase for my NY-Paris flight. Jean Hervé nuts butter are raw I think. Well, they are prepared with a temperature of 60°C max. Your post gives me the envy to taste some ! Yo, Omgirl ! Downward Digitty Dog! I can't stop Bragging !